A new generation of the highly-successful Peugeot Partner, Citroën Berlingo and Opel Combo small panel vans are due for launch here, following their global premiere at the IAA Commercial Vehicles Show in Hannover later this month. The new vans are the fruit of a joint collaboration between the three brands, boasting high levels of equipment and comfort features and developed on the Group’s latest platform, the EMP2, to guarantee the highest quality, efficiency and performance. 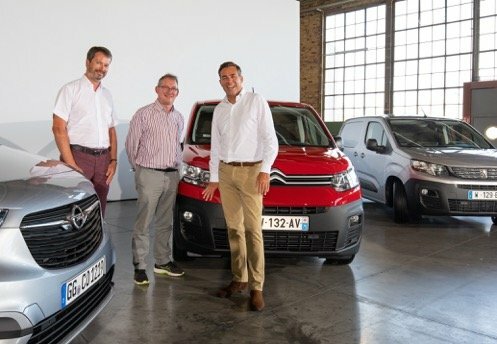 With more than 20% market share in 2017 (+16% y-o-y), Groupe PSA is the overall leader in light commercial vehicles sales in Europe and the French headquartered company has underlined its clear intention to further strengthen its market share lead of more than 30% in the European compact van market with introduction of the new van trio. “This new generation of vans marks a new phase in our range renewal process. Our modern line-up features efficient vehicles designed to meet our customers’ demanding needs and provide a better customer experience. We hope to consolidate our leadership in Europe and continue to export our knowledge and skills to other continents,” stated Philippe Narbeburu, Senior Vice-President, Light Commercial Vehicles. The latest models offer customers exciting new features normally found on passenger cars to provide even greater safety (driving and manoeuvring assistance systems), comfort (e.g. adjustable lumbar support, acoustic treatment) and convenience (including increased payload, longer load space, and worksite packs boasting higher ground clearance, Grip Control and protection kits. The Peugeot & Citroën models will be produced at the Mangualde (Portugal) and Vigo (Spain) plants, and for the first time, the Spanish plant will also produce an Opel vehicle. 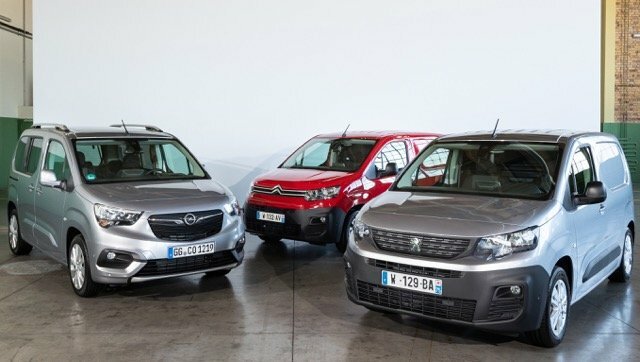 The launch marks the 3rd generation of the Peugeot Partner and Citroën Berlingo and the 5th generation of the Opel Combo. The Peugeot Partner was the best-selling van in Europe in 2017 with close to 78,000 sales, followed by the Citroën Berlingo with nearly 73,000 sales. Pictured from left to right are: David McQueen, Head of LCV Product Development, Groupe PSA; Jarlath Sweeney, Chairman of International Van of the Year Jury; Philippe Narbeburu, Senior Vice-President, Light Commercial Vehicles, Groupe PSA.